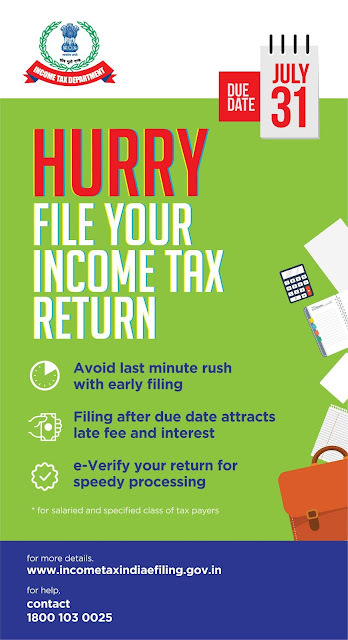 Home Income Tax File your ITR before 31st July!!! Previous articleசி.ஏ., இறுதி தேர்வு ‘ரிசல்ட்’ வெளியீடு!!! Next articleSchool – Team Visit Format 2018! !